ATLANTIC CITY, N.J. -- New Jersey will defy a federal ban and let people bet on the outcomes of football, basketball and other games this fall, Gov. Chris Christie said Thursday. Speaking at a news conference highlighting efforts to reinvigorate Atlantic City, Christie said the regulations his administration will issue next week make no attempt to overturn a 1992 federal law that limits sports betting to four states. "We intend to go forward," the Republican governor said. "If someone wants to stop us, then let them try to stop us. We want to work with the casinos and horse racing industry to get it implemented. "Am I expecting there may be legal action taken against us to try to prevent it? Yes," the governor said. "But I have every confidence we're going to be successful." The U.S. Justice Department declined to comment on Thursday. A federal law called the Professional and Amateur Sports Protection Act limits sports betting to four states that approved it by a 1991 deadline: Nevada, Delaware, Oregon and Montana. At the time, New Jersey was given the chance to become the fifth but failed to act during a prescribed window. But for the past two years, New Jersey has been moving toward implementing sports betting. A state senator from northern New Jersey tried to sue to overturn the law, but the case was dismissed. In the fall, voters indicated by a 2-to-1 margin in a nonbinding referendum that they want the ability to bet on sporting events. 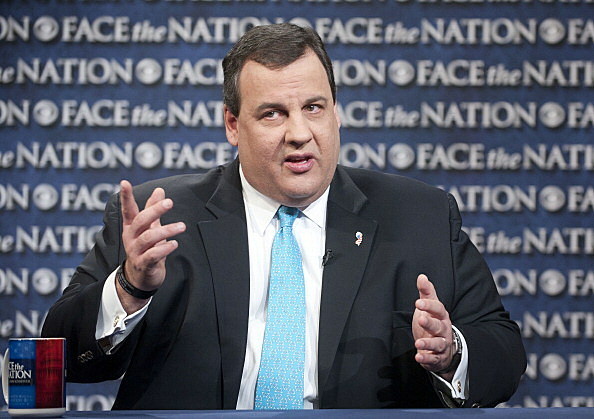 Earlier this year, the legislature passed a sports betting law, and Christie signed it. It would allow bets to be taken at Atlantic City casinos and the state's four horse tracks. Casino executives generally supported Christie's approach, even as they cautioned that none of them wanted to be the first to set up an expensive sports betting operation, only to risk having the federal government shut it down on a moment's notice. "I love the idea of playing offense and having the federal government have to play defense against us," said Tony Rodio, president of Tropicana Entertainment, which owns the Tropicana in Atlantic City, as well as casinos in several other states. "But I don't know who's going to want to be the first to open knowing they can shut you down. We'd need a lot more clarity before we invested lots of money in a sports book." Likewise, Aaron Gomes, vice president of Resorts Casino Hotel, said the concept of moving ahead unilaterally is appealing but risky. "It's going to be hard to find someone willing to take the first jump," he said. "Particularly for companies that do business in multiple jurisdictions, they might not want to jeopardize their licenses in other states." Robert Griffin, CEO of Trump Entertainment Resorts, said he personally favors Christie's approach. The Casino Association of New Jersey, of which Griffin is president, has not yet considered the matter, he added. "The voters of New Jersey have spoken, and he's listening to them," Griffin said. Sports betting proponents want to help Atlantic City's 12 casinos and the state's four racetracks: the Meadowlands in East Rutherford, Monmouth Park in Oceanport, Freehold Raceway and Atlantic City Race Course in Mays Landing. They say legal sports betting also would provide a new source of revenue from a huge pool of money that now flows untaxed to unlicensed offshore Internet sites or to illegal bookmakers, many of whom are allied with organized crime. Casino executives say the main benefit to their bottom line would come not from new sports betting revenue, but by drawing more customers, who would presumably gamble and spend money on other things. Christie said 50 percent of the revenue generated by sports betting would go toward treatment programs for compulsive gamblers. A national gambling study in the 1990s pegged sports betting -- legal and otherwise -- as a $380 billion industry. The Interactive Media Entertainment & Gaming Association, an online gambling association pushing for Internet betting to be legalized in New Jersey, says that figure now is closer to a half-trillion dollars. Sen. Raymond Lesniak, the Democratic lawmaker who tried to sue to overturn the federal ban, predicted the law would be overturned. "To those with a vested interest in the status quo -- the professional sports organizations who take a hypocritical stance that wagering will 'ruin the purity of the game,' and the Nevada-based gaming conglomerates that have enjoyed that state's stranglehold on sports wagering for the last 20 years -- I respectfully say, 'Bring it on,' " he said in a statement. "The sooner you make an issue of New Jersey's noncompliance with an unconstitutional federal ban, the sooner we can defeat that ban in the courts, and put New Jersey on the same competitive footing as the rest of the nation when it comes to sports wagering." Christie would not comment on New Jersey's efforts to legalize Internet gambling, saying the legislature has yet to pass and send him a bill this year. They did so last year, but Christie vetoed it, voicing concerns over its constitutionality and the possible proliferation of illegal backroom online betting parlors.